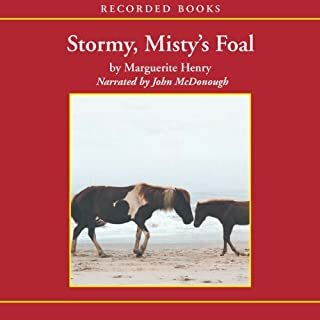 This is the thrilling story of how a hurricane destroyed the wild herds of Assateague, and how strength and love helped rebuild them. Misty of Chincoteague has been delighting millions since its publication in 1947. 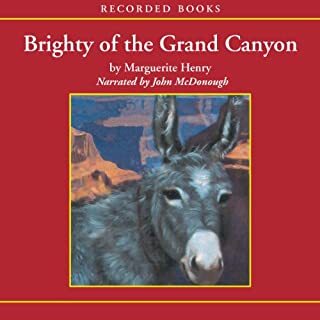 Like the favorite classic, this sequel features siblings Paul and Maureen Beebe's special relationship with their ponies, and is filled with fascinating horse lore and amusing regional color. Each year along the Eastern seacoast, the wild ponies of Assateague Island are driven across a narrow strip of ocean to Chincoteague. There the shaggy, untamed ponies are sold. When young Paul and Maureen Beebe rescue a drowning newborn foal, they take her home to nearby Pony Farm. 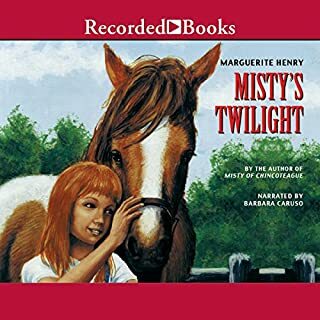 Now the foal has grown into their free-spirited pony, Misty, and has been the subject of a popular children's book. He was named "Sham" for the sun, this golden red stallion born in the Sultan of Morocco's stone stables. Upon his heel was a small white spot, the symbol of speed. But on his chest was the symbol of misfortune. Although he was as swift as the desert winds, Sham's proud pedigree would be scorned all his life by cruel masters and owners. As a young girl Sandy Price dreamed of owning a pony like Misty of Chincoteague. Journeying to Chincoteague for the annual pony penning, a grown Sandy decides to make her dream come true. At the end of the auction she brings home not just one but four beautiful ponies, including Sunshine, a direct descendant of Misty. When Twilight, Sunshine’s foal, first appears from her stall, the fire of the wild ponies of Assateague is in her eyes. She races and rears herself into a lather, bucking at even the temporary confinement when the farrier examines her hooves. 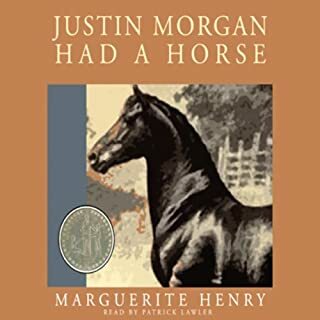 In the early years of our country, a poor school teacher, Justin Morgan, receives a horse and her tiny colt in payment for some work. He wishes he had been given money instead. Hoping that he might sell both horses for a fair price, he asks his student, Joel, to break in the colt. To his surprise, young Joel soon discovers that this small, brown creature has special abilities: "Bub" can pull more than a team of oxen, and he can run faster than a racehorse. It seems Ken can't do anything right. He loses saddle blankets and breaks reins...but then comes the worst news yet: a report card so bad that he has to repeat a grade. How can you tame the dreamy mind of a boy who stares out of the window instead of taking an exam? Enter Flicka, the chestnut filly with a wild spirit. Over the course of one magical summer, both will learn the meaning of responsibility, courage, and, ultimately, friendship. Who could resist living for a year with a raccoon who is just about your best friend? In this delightful memoir, Sterling North recalls his year with Rascal - a very mischievous and resourceful raccoon. Virtually everywhere Sterling goes, Rascal is there, and life is filled with one adventure after another. Paul and Maureen Beebe had their hearts set on owning her. They were itching to buy and tame her and worked hard to earn the money she would cost. But the roundup men had tried to capture her and for two years she had escaped them. Pony Penning Day holds a surprise for everyone, for Paul not only brings in the Phantom, but her newborn colt as well. Can Paul and Maureen possibly earn enough to buy them both? Nice to listen to a simple story with only a few characters and no violence. I recommend this book as well as other classic early reader books to all parents. 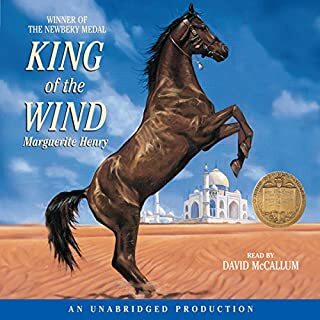 With all my children I start them off with the first book in a series on audio, then if they want to know what happens next they have to read them. This is a great book for little horse loving girls. What was one of the most memorable moments of Misty of Chincoteague? Can't you just see the horses running down the beach? There was a lot of emotion and description in this book. Some parts were confusing due to older-fashioned language used. Enjoyed this cute story with my family on a car trip. It's a great story full of learning experiences, adventure and fun. Wonderful kids story. Great for adults as well. Will read it to my grandchildren. Well read. 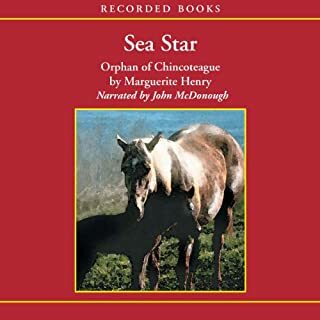 We visited Chincoteague over the summer and listed to this on our ride. The story was a great read when I was a child but just "okay" as an adult. The simplicity of the story really shows through. Little kids (as I once was) will really enjoy it. Go visit the National Park though! It's great! A classic tale with captivating narration-- kept me listening even after my daughter fell asleep! narration was excellent, very easy to listen to! A wonderful classic story brought to life! What did you love best about Misty of Chincoteague? My daughters are nearly 8 and 10 and both enjoyed the story immensely. They could identify with Paul and Maureen and loved the horse elements of the tale. What about Edward Herrmann’s performance did you like? Edward Hermann's narration is excellent and he gives the story an authentic tone. 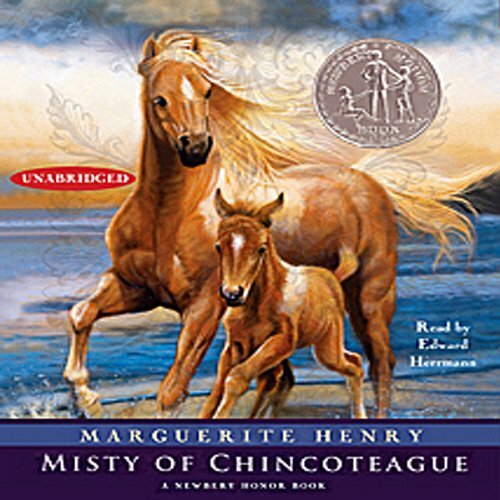 If you could sum up Misty of Chincoteague in three words, what would they be? This is a great book for young readers of pony stories. I found I kept waiting for more interaction with the children and ponies. When you stop listening to the voice and just listen to the story you know the narrator is good!